We are the leading provider of Bid Bonds in the nation. We say that with a bit of pride, and a bit of humility because we know that it’s really you, our customers, that make us who we are. We’ve worked tirelessly over the years to create a place where you can find the very best bid bonds for your projects. We’ve developed relationships with nearly every surety bond provider so that we can pick and choose the right party for you. Small Contractor Application (Swiftbonds front) – Please fill it out and email to gary@swiftbonds.com along with the Bid Documents and Bid Specs (and contract, if you have it). Call us now – (913) 214-8344 to get the cheapest, fastest bid bonds. Our expert team will get you exactly what you need, fast! So you can get to work. 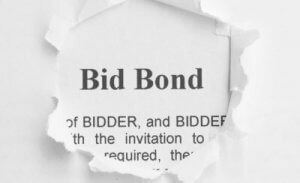 So what is a bid bond? And why do you need one? A bid bond is a type of surety bond, which guarantees that the bidder will accept the project and complete it according to its terms. It provides assurance to the project owner that the bidder has the expertise and wherewithal to finish the job once you are selected after the bidding process. The simple reason is that you need one in order to get the work. But the bigger question is why are more owners/developers requiring a bid bond? The simple answer is risk. Given the uncertainty of the marketplace, which includes long-time contractors closing their doors, to municipalities filing bankruptcy (or just slow paying), has led to the owners being afraid that their contractors will be unable to complete the work. So, they require a some protection. It shows that you have the financial ability to do the job. Most contain a cash deposit, which is subject to full or partial forfeiture if the winning contractor fails to either execute the contract (or come up with a payment bond or performance bond – depending on how the bid process is structured). The bid bond assures that, should the bidder be successful, they will sign the deal and provide the required surety bond. The bid percentage (usually five or ten percent 5, 10%, is forfeited if you don’t accept the job). The Bid Bond prequalifies the principal and provides the necessary security to the owner or general contractor, or “obligee,” guaranteeing that the principal will enter into the contract, if it is awarded. A Bid Bonds guarantee that the “obligee” will be paid the difference of the principal’s tender price and the next closest tender price. This action is only triggered should the principal be awarded the contract but fails to enter into the contract, as agreed, with the obligee. The penalty on a bid bond is generally ten percent of the tender price of the bidder. Contractors really prefer to use these as they are a less expensive option than others available. They also do not lock up cash or bank credit lines while the bidding process is ongoing. General Contractors and Owners also like to use them for the reason that they establish and endorse that the bidding contractor (or supplier) is supported by the financial backing of a Surety Company and is, therefore, qualified to tackle the project. Project owners are more comfortable awarding projects to bidders that have a bid bond as the penalty provision keeps bidders from submitting a frivolous bid, because they are obligated to work on the contract or pay the penalty provision. If a surety has to pay a project owner the penalty provision, then the surety will look for reimbursement by the bidder. We do not charge for our bid bonds, except for FedEx fees if required. The reason for this is that we charge upon the award of the contract and issue a performance bond. The Miller Act governs all federal jobs and most states have passed similar statutes for local government work. Thus, bidders for a federal job are required to have a bid bond for their federal jobs. You need to know the ins and outs of the process so that you can bid properly and get the job and then start work. Active bonds that are issued by a corporate surety company that is approved. If the proposed surety is a company or individual, then the company/individual must show sufficient resources to provide a guarantee sufficient for the government. What do Bid Bonds Cost? We do not charge for a bid bond, except for any overnight fees to get you the original bid bond paperwork for the bid deadline. Many entities do not require the original bid bond paperwork and will accept the electronic copy (which you sign). The charge is only for the underlying performance bond. Understanding the difference between bid bonds and performance bonds is absolutely crucial to making the most out of your construction projects. Bid bonds and performance type bonds can have significant cost differences so when looking at the value of a bond it can be easy to be fooled when you don’t consider the overall cost. The performance type generally include extra costs because much of the money is recouped if the contractor fails to actually complete a contract pursuant to the terms of that contract. With other types of bonds there is always a chance that a project might not be completed (or get changed enough that the bond is no longer valid) and you won’t recoup the total cost of the bond that you’ve taken out. These come with a guarantee from a special third-party guarantor, called the surety (usually an insurance company or a bank). This insurance policy insures that the owner will end up getting some type of payment if the contractor fails to fully complete the construction contract as outlined in the bond. These types of bonds are not to be considered the same as fidelity bonds, instead the guarantor will have to recover the funds. This can mean that the owner may not be able to recoup the funds immediately, which can lead to extra costs and a longer waiting time to recoup the owner’s expenses. A bid bond is a cash deposit or guarantee that the winning bidder will have to submit after a contract has been won. Contracts can only begin when a bid has been created and a bid bond is submitted. They basically work to assure that if an individual bidder is successful with their bid on a construction contract, they will eventually be the one to execute the contract and provide all of the required security bonds. Bid bond penalties vary greatly from the cost of performance bonds and penalty usually involves paying back just 10% of the tender price. Many contractors prefer these types of bonds because they are far less costly and they don’t tie up a lot of money or time with banks and other insurance institutions. Understanding the differences between these two bonds can help you in any construction project and if you are interested in investing in construction or running your own construction business. Different contractors and construction companies will have different preferences when it comes to bonds so it’s important to know potential customers going into any bidding process. Federal and state jobs make sure that the bidding companies have a bid bond prior to even allowing the bid. If the bidder is successful and wins the job, the next step is to be issued a performance bid and payment bond (sometimes known as a P&P bond). On our Performance Bond page, we started explaining bonds, which we continued on our Contract Bond page. We are continuing from our earlier description of bond rejections. What is a Bid Bond Bank Guarantee? A bid bond bank guarantee is another name for a surety bond known as a bid bond. A bid bond is required for many governmental contracts and then the high bidder will be required to get a performance bond. A performance bond is usually given to a construction company when they need to be bonded for a surety bond job. In addition, a performance bond is usually granted in conjunction with payment bond. A performance bond is required for any governmental contract as dictated by the Miller Act. Most states have also passed statutes that require a performance and payment bond in their own states and these laws are known as little miller acts. The bid bond bank guarantee shows that the bank is providing the suretyship on behalf of the bidding company. 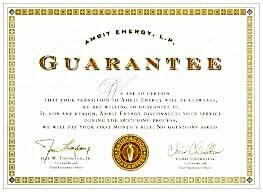 This guarantee has several benefits to the bidding company, such as allowing them to bid on multiple contracts at the same time without having to place large amounts of funds into escrow. Otherwise, significant cash flow is used up in the bidding process, which is better utilized in the actual performance of the jobs. So how do we deal with prior problems? Especially those that deal with dishonesty or fraud? Well, we deal with this head on. First, a couple of very pertinent points about the surety bond industry. The bond industry wants to writ e a bond where they take no risk. That is, the contractor is the party that should be looked to. However, in the case of an employee that has a past problem, the contractor is asking the bond company to overlook that, very obvious, risk. Underwriters are leery to do so. Specifically, the underwriter wants to eliminate risk. That is, like a life insurance policy, they don’t want to write a large policy on a person with terminal cancer. In a like manner, a bond company does not want to writ e a surety bond on a contractor that has, in the past, absconded with lots of funds and spent time in prison. Still, we do get these cases. We deal with them by showing the bond company how that risk has been eliminated or mitigated. That is, we disclose the prior bad facts. Then, we show how the current situation is different – from both a personal standpoint as well as a business standpoint. Let’s try an example. Let’s assume that a general contractor has a minority owner (say 25%) that was previously found guilty of defrauding the federal government. That person didn’t spend any time in jail, but had to make restitution to the government. So, we’d disclose that fact. Then, we would show how the minority owner had no access to the funds of the company as those would go through another party and be verified by yet another department. Next, we would go on to show that the minority owner was limited to helping the company in its operations. Finally, we would show how the minority owner was not able to have any part of the bidding processes of the company and how the company limited access to any contracts/bid/reports to parties totally outside the minority owner’s sphere of influence. These are the typical vices that have ensnared many victims throughout the ages. In fact, many investigators state that when they find evidence of one of these vices, the others are sure to follow. So, let’s disclose how damaging these are to the applicant. Gambling. Unfortunately, an addiction to gambling is death to any bond application. However, the fight almost always surrounds “what is an addiction?” In our current society, the ability to gamble is much more readily available than in decades past. Not only is travel to known gambling destinations (Las Vegas, Atlantic City) cheap, but there are now many places that are locally available that service gambling customers (not including the Internet). However, most underwriters can easily detect the difference between serial gamblers and those that occasionally dabble. Thus, serious gamblers typically have some sort of credit flag that comes up. Whether it’s a large credit line set up with a casino or a large credit charge on another credit line that has been charged to a casino. Drinking. From a personal perspective, I have seen more clients destroy themselves by drinking than by any other vice – by a factor of ten. However, drinking is more accepted by society and, thus, is more easily overlooked by underwriters (it’s always good to remember that underwriters are people too). Unless there is something else, like a conviction for operating a vehicle under the influence or something similar, it is rare to have drinking create a huge problem in the underwriting process. Drugs. Drugs are a very hard category to define. If drug usage comes out about an applicant, it can be difficult to know how the underwriter will handle the issue. Many underwriters have little concern about marijuana (especially given the changes in society attitudes and the relaxing of laws against marijuana in certain states – like California and Colorado). Other drugs, such as cocaine, crack or methamphetamines are very frowned upon while prescription drug abuse can be overlooked. Still, these are generalizations as each underwriter has their own personal feelings – which can easily sway the bond approval process. We have found that our clients are extremely disturbed when they are turned down because their personal debt load is considered too high. The argument that we get back goes something like this “hey, my company is in great shape. What do they care about what I do with my personal life? That should not be a consideration for them.” It’s not unusual that this is said at an above-average volume level. Unfortunately, bond underwriters have learned over the years just how important the personal finances of the principal being underwritten, or the main owner of a company being underwritten, really can be. I am many times surprised at the poor financial condition of an owner of a very successful company. I think that the lack of financial progress is a symptom of the entrepreneurial spirit. That is, the same traits that help someone create a company, such as risk-taking and putting all their eggs in one basket, are the same traits that keep them from creating a strong personal portfolio. So why do bond underwriters care so much about the personal finances of the principal? It’s really simple. The principal has control over the company and the finances. Thus, if their personal finances start to falter, they have a tendency to continue to draw more and more money out of the company (whether on a real or relative basis), which deteriorates the financial ability of the company to make good on any bond. Thus, it is the relative power of the principal and their control that determines the finances of the company. Given their importance within any enterprise, it is the principal’s control that determines the effective actions of the company. Even the strongest executives must bow to the pressures exerted by the guy in charge. Even if they resist for a short time, they will inexorably bow to the principal’s wishes over time. There are a variety of ways that bad or nonexistent references can hurt a principal. First, there are the references that are not able to be contacted. Their phone calls are not returned, emails are ignored, or the worst is if any mailing is returned. Obviously, this reference is stale – at best – or fictitious at worst. In either event, this type of reference will usually spell doom for any bond issuance. The more common references that hurt a principal are those that are bad or lukewarm. The bad references show a general lack of understanding on the part of the principal. That is, providing a bad reference is typical of those principals that do not understand the relationships around them and, consequently, do not have the general type of support that many businesses need to survive. A lukewarm reference can be equally bad. Thus, the reference person is generally responsive, but they do not provide much in the way of positive reviews of the business or its products or services. Thus, the surety bond underwriter can get a feeling of insecurity about the business and not write the bond. We always suggest talking to your references, making sure that their contact information is up to date and know in advance what they will say when called. If they do not agree to give an unqualified reference, then do not use them. As, specifically, for an unqualified reference. Strangely, the beefing up of a resume, or business history and contacts, is on the rise. You would think that it would be decreasing as the ability to verify this has been greatly eased with the use of the Internet and other digital tools. However, we still see many cases where someone has decided to change their resume to add additional titles/jobs/employers as they think that the cachet helps them more than the risk hurts them. It doesn’t take look to do a search and find someone that has been hurt after they have unjustly padded their resume. For example, Robert Irvine of Restaurant Impossible (who I really enjoy watching) was caught having embellished his resume and, consequently, receiving a lot of negative attention and even a loss of income. But many people just do not believe that they will get caught. Further, they believe that the risk of getting caught is low (and it is, relatively) while the benefits can be extraordinary. That is, if a contractor could get a job with the largest employer in town – even if just a small job – they believe that they could take that experience and enhance it. For example, let’s assume that a contractor gets a job building a small auxiliary building at General Electric’s plant for a total cost of $200,000 (as I said, a small building). But on their curriculum vitae, they state that they were the general contractor that created a large complex for GE, which in turn led to an increase in GE’s productive capacity. Who wouldn’t want to hire that contractor? But if you knew the actual truth, well, you may not be in the same situation. If a bond underwriter ever discovers this type of resume padding, they certainly will refuse to write the bond. You would be surprised by how many people are undone because their online presence reveals something negative about them. This, in turn, creates uneasiness in the bond underwriter who uses this as a justification to refuse to write the bond. In this way, a negative Twitter post can have significant repercussions. What’s difficult about this is that it is hard to keep a pristine image online. Even the most successful businesses with the best reputations will receive a negative review now and then. Even during a successful job, a construction firm can get dinged with a negative review even though the client ends up being happy. Sometimes, during a job, an architect, subcontractor, owner or somebody else gets frustrated – whether due to the perceived slowness of the job, cost overruns, and delays by the government, etc. It doesn’t matter the source, all that matters is the outcome – a negative post. So, how do you combat this? I think that a good marketing campaign is a good idea – not just for dealing with negative reviews, but to also get new business. As an integral part of your marketing campaign you should have someone who is in charge of social media and online presence. Then, a focused and disciplined approach will help you out. Posting with regularity on Twitter, Facebook and Google Plus is a must. Also, be sure to do a search on your business. It only takes a couple of minutes. Be sure that you Better Business Bureau information are up-to-date, and Angie’s list if that applies to you. It’s not always practical to think that any negative post will get removed and, quite frankly, it looks a bit suspicious if there is never a negative thing out there. Instead, you should be sure to put out as many positive things about yourself as possible. Then, any negative posts or comments are seen in a balanced light. However, there are companies out there that help delete any negative comments. You can also search around for a good cease and desist letter and send it to the offending web site’s webmaster. This is usually a cheap and easy way to remove any negative comment. One caveat: be really nice about this. Several businesses have been raked over the coals in the Internet when they have used heavy-handed approaches to removing bad information. Be very polite and funny even. Remember, most of the savvy social media users are younger and have different concepts about the world. We consistently ask our bond companies for the rationale behind why they decided against writing a bond. Because we do this consistently, they are not offended by the questions. We do this so that we can learn several things. First, we want to always keep a handle on what each particular bond company is doing. By asking for any rejection reasons, we keep a good pulse on them and whether they are tweaking their underwriting criteria. Next, we definitely want to have an answer when our clients come and ask us about why they didn’t get a bond. Yes, we are super-successful in getting bonds placed. This sometimes leads to the perception that we are perfect and never get a bond rejected. We wish that were the case. Unfortunately, many times people are not quite so, ah, gracious, when their bond application is denied. Thus, they immediately start to accuse of bias and create an atmosphere of hostility. Principals are upset that they have to spend time and effort to get another bond. Employers are upset that their employees were rejected and, gasp, that they would have to find another employee (the effort for looking for another employee seems to outweigh the fact that the employee was unfit for the position). Finally, we know of many bond companies that get contacted by attorneys that are objecting to the rejection and seem to be saying “hey, I’m an attorney and I could sue, so please give them a bond.” Attorneys like this as they get paid good money, but I am unaware of a time when a bond company actually changed its mind after being contacted by an attorney. What is a contract bid bond? For most occupations, including the likes of insurance agents, contractors, and any business that relates to bidding or labor forces, will require some type of surety bond. Even though there are many types of bonds available including, permit, licensing, contract bond, figuring out how all of these works, should give you a much better look at which bonds are going to be most effective for the business you own. Firstly, bonds are three way contracts made between the owner (known as the Obligee), the contractor (known as Principal) and the company doing the bonding (also known as Surety). The bonds are meant to signify the agreement that the contractor will perform the task promised to the owner, according to what’s stated in the contract(s). If this ends up not happening, the surety company will be forced to compensate the owner for the contractor’s damage. See more at our Bonds page.